The successful candidates on the substantive lists are requested to register within 30 days from the date of signature of the present Press Release, and following the modalities which will be indicated to them by the school authorities. After the above deadline, they will be considered as having resigned and will be replaced by candidates on the waiting lists by order of merit. 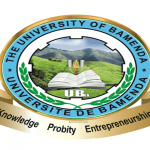 Final Results ENS Bambili 2018-2019 First Cycle year 1 University of Bamenda (Orals Results).